One of Apple's primary chip manufacturers, TSMC, confirmed in a Tuesday report to shareholders that it plans to trial 7-nanometer production in the first half of next year, working towards mass production in the first half of 2018. The company already has over 20 customers interested in the 7-nanometer technology, and 15 of them should have chip designs taped out for manufacturing in 2017, according to co-CEO Mark Liu, quoted by DigiTimes. It's not clear whether Apple might be one of them. 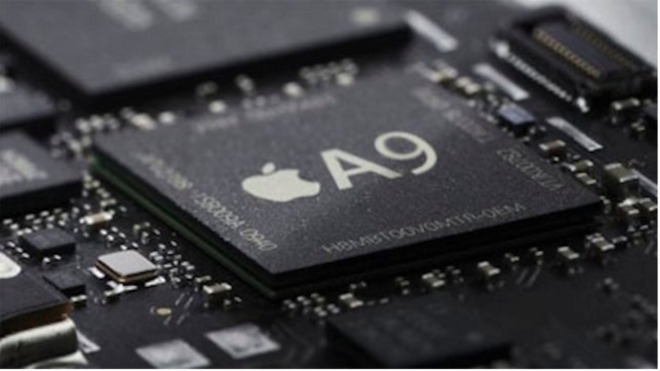 The new process is however expected to be applied to mobile processors, and TSMC is currently manufacturing Apple's A9 and A9X chips, though some A9 orders are being handled by Samsung. TSMC could become the sole producer of "A10" chips for devices rolling out later this year. Apple could theoretically use 7-nanometer processors in an "iPhone 8" shipping in late 2018, but the company might have to settle for 10-nanometer designs instead, depending on the state and scale of TSMC's capacity by the time Apple is lining up orders. The intense global demand for Apple products means that a supplier will often have to go full-tilt to complete orders. For comparison, A9 chips use 14- or 16-nanometer designs —depending on whether they're manufactured by Samsung or TSMC, respectively. Smaller chips should allow not just for more compact devices, but better power efficiency.